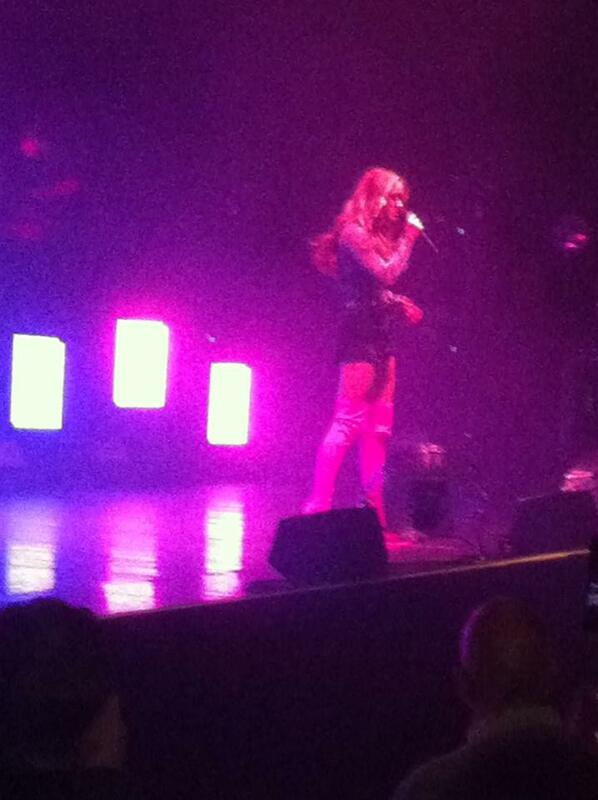 We last saw Zara Larsson two years ago supporting MNEK in Heaven. 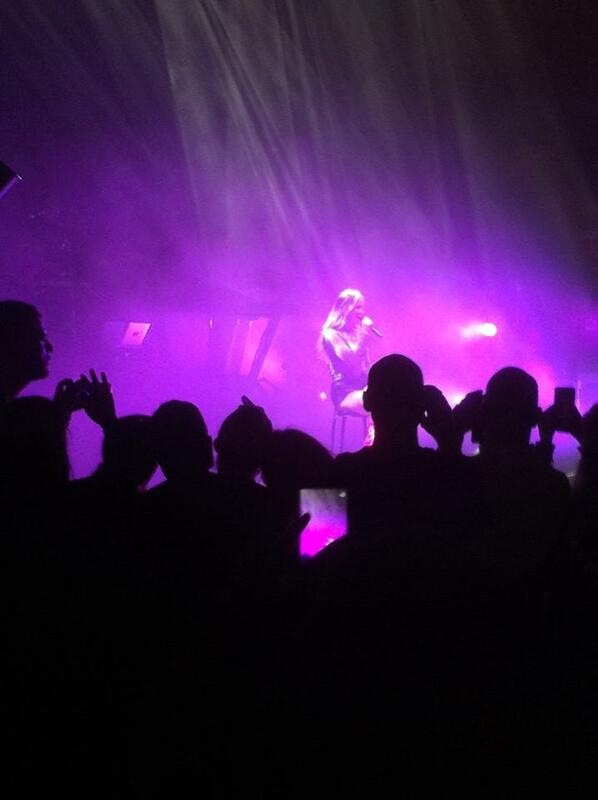 Tonight she’s headlining Hammersmith’s Eventim Apollo as part of her first eight-date UK tour. Much has changed in the intervening two years, not least that Zara’s debut UK album So Good has gone gold selling more than 100,000 copies, she’s topped the chart with Clean Bandit on Symphony and the ease with which she wraps an audience around her little finger has grown immeasurably. The omens for this show weren’t good: we’d booked standing tickets on pre-sale and weeks before tonight the stalls had been re-allocated as seated. A sign, perhaps, that the concert wasn’t selling? However, on arrival we were delighted to find we’re in the fifth row (see picture below) in a packed audience of gays, Swedes and teens which was having far too much fun dancing to use the seats. Zara tells us early how at home she feels in the UK (as she should because she’s already enjoyed considerable success here) and takes a well-received potshot at US President Donald Trump, which we weren’t expecting. We’ve criticised So Good for being overcooked but live it comes into its own with Ed Sheeran co-write Don’t Let Me Be Yours segueing easily into Shape Of You, the Rihanna-esque Ain’t My Fault finding its feet and a stool required for edgy ballad I Can’t Fall In Love With You. Elsewhere, four female dancers make the most of the 75-minute set’s many pop bangers and the band works closely with the singer to bring the best out of the material, much of which she has co-written. If we’ve a criticism it’s that the 19-year-old is occasionally vocally off during opener Never Forget You but by closer Lush Life she’s hitting the big notes like the TV talent show winner she is (2008’s Sweden’s Got Talent). She’s unrecognisable from the nervous 17-year-old we saw just two years ago and while we never doubted her ability to both dance and sing, it’s her flowering writing talent coupled with a super warm personality which means her popularity can only grow as the hits she pens keep coming.